I have no idea of how to solve it. 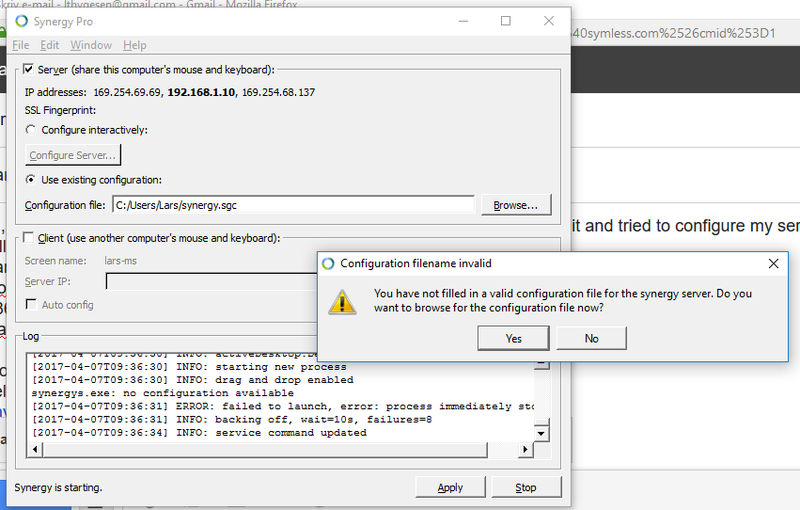 I can't see how I can create a config file. Symless said that they could not help users, which surprised me.